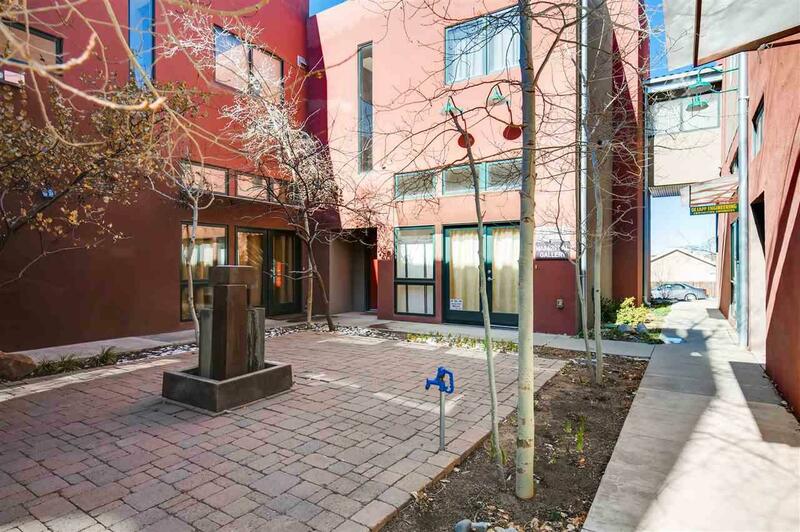 This chic Live/Work complex has C-2 zoning which allows residential and commercial use. Studio #4 has over 2,650 sq. ft. with a ground level floor offering high ceiling, lots of light, office/bedroom, kitchenette, bathroom, two large open spaces and a view through the French doors to the central courtyard outside. There is also a private walled courtyard with fruit trees and flagstone. 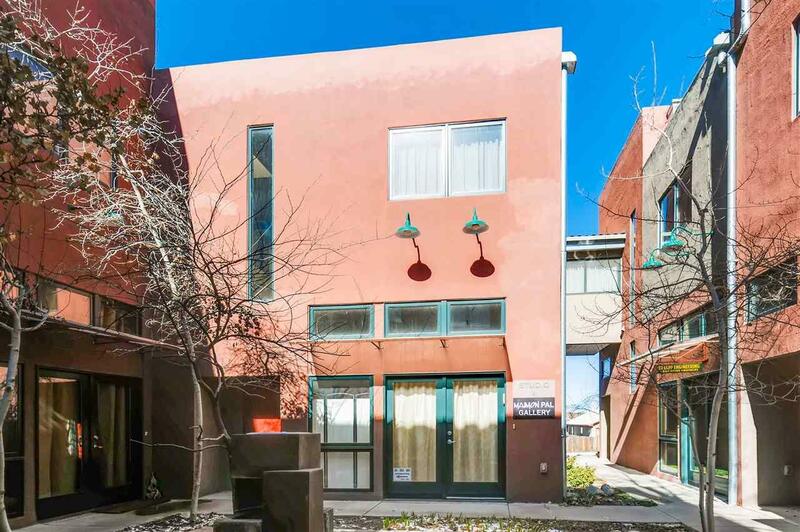 The upstairs level has high ceilings, a wide open living space or work space with one bedroom, full bathroom, washer and dryer, office, outside deck, a small balcony and kitchen with stainless steel, high end appliances. 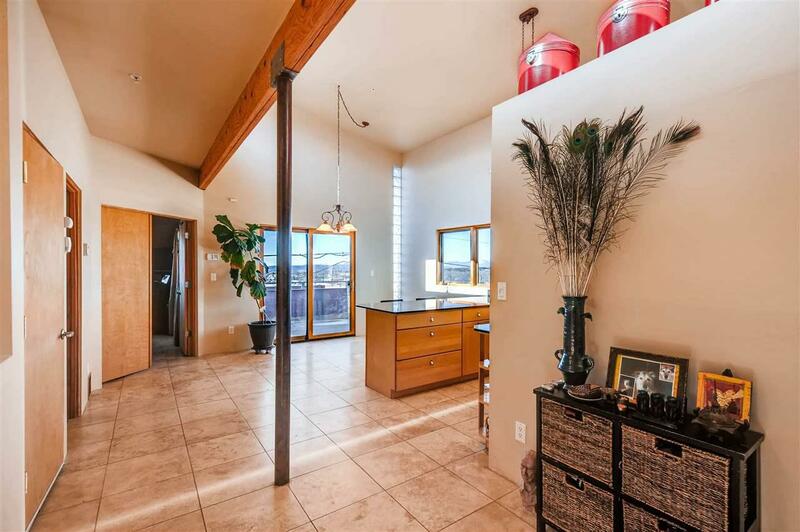 Numerous windows on the top floor provide plenty of light and panoramic views of the mountains and city scape. The lower level is handicap accessible and both levels offer flexible floor plans. There are two parking spaces, one is covered. Use the top level as living space and locate your business on the lower level or live upstairs and rent out the bottom. The Harrison Road Studio Development, built by award winning architects, offers New York Style lofts. Assessments And Other Fees $450.00 Per Quarter. 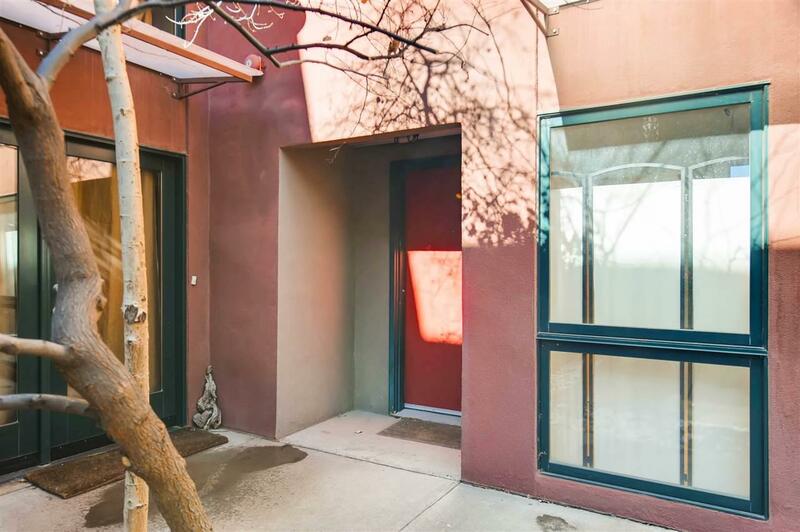 Listing provided courtesy of Connie Johnson of Santa Fe Properties. © 2019 Santa Fe Association of REALTORS®, Inc. MLS. All Rights Reserved.